IBJ’s Syria Program: Supporting and Strengthening the capacities of Syrian justice sector actors was launched in November, 2017. This program is supported by International Legal Assistance Consortium (ILAC) in Sweden through a project funded by Swedish International Development Cooperation Agency (Sida). There is a great need for access to legal counsel in Syria, with many regions of the country deprived of systemic legal aid leaving hundreds, if not thousands of vulnerable Syrians deprived of legal protections. Despite the strong efforts of committed pro bono lawyers throughout the country, they are in vast need of financial and legal resources to ensure sustained legal counsel. By assisting lawyers in Syria on pro-bono legal cases, IBJ ensures that every woman, man and child accused of a crime is judged fairly in a court of law to reduce instances of abuse – which most often happen in pre-trial detention/investigations. IBJ intends to work with and support groups of lawyers in various parts of Syria. The Syria program will continue to follow its three-pillared approach to programming by building the capacity of lawyers through trainings, engaging justice stakeholders through Roundtable events, and empowering local communities through the dissemination of legal rights awareness campaigns. 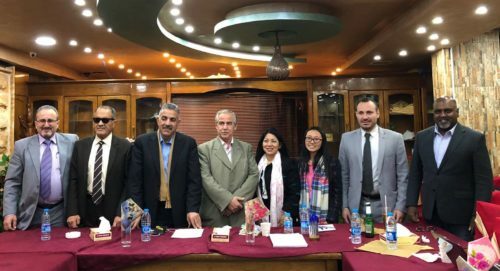 Nonetheless, to maximize resources within Syria, IBJ will leverage the power of technology to increase its impact reach, particularly with strengthening the capacity of lawyers and raising awareness of due process rights. IBJ also intends to publish a defender resource manual to further supplement the legal materials widely available to lawyers to build their abilities, providing them with practical skills that can be used now. The formation of this strengthened partnership will provide IBJ with a valuable opportunity to participate in a crucial juncture in maintaining and improving the Syrian criminal justice system.